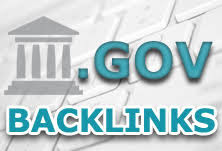 Hey Do you know that .gov backlinks are very hard to get even if you have less .gov backlinks it will really help in backlinks building, Ranking, Authority for your blog, Etc. Google does look .gov link in a respectful manner. If you have a link for high authority link then it will be weighted equally. But ever since Google rolled out its Penguin algorithm, the whole landscape of backlinking has changed. If you are using some paid services to get links to your site, you are likely going to be penalized by Google Penguin’s algo. Comments are an excellent, easy, and free way to get backlinks. Start commenting on do-follow forums and do-follow blogs. The latest news has suggested that no-follow links don’t matter all that much, but start commenting on any blog, and you will surely benefit from some good link juice. Commenting helps you to get solid one-way backlinks as well as more traffic and better search engine visibility. But don’t spam! Give good comments. Also important: If you are using any automatic direct submission tactics, stop doing so right away. Automatic website submissions will cause your blog to appear as spam, and it can cost you a lot in terms of your page rank or even the complete removal of your blog from search engines. Note: this link above is just the link to the site but you still need to add you site link to it. Just follow this example below. You will have to include you url to the likes (Others too) and the insert it to your browser url box and click go. 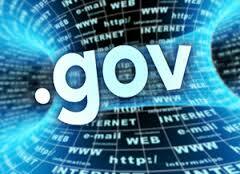 0 Response to "Revealed: How To Get Backlinks From Top 15 USA Government Sites With .Gov Extensions and High Page Rank"